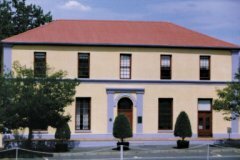 Die Afrikaanse Taalmuseum en –monument (ATM), also known as The Afrikaans Language Museum and Monument, is situated in Paarl, Western Cape, South Africa. 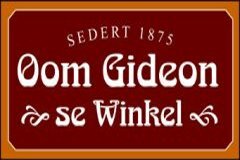 The museum and our administrative office are in Pastorie Avenue and the monument is on Paarl Mountain. By virtue of the powers bestowed on him by section 3 of the previous Cultural Institutions Act, 1969 (Act 29 of 1969), the then Minister of Education declared the ATM Paarl as an institution which falls under the terms of that Act with effect from 1 June 1977. Since then the Cultural Institutions Act of 1969 has been replaced by the Cultural Institutions Act, 1998 (Act 119 of 1998). The ATM receives an annual subsidy from the Department of Arts and Culture. 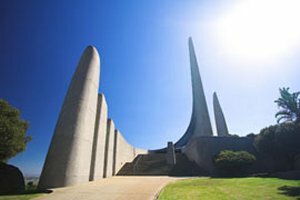 The vision of the ATM is to run the national Afrikaans Language Museum and Language Monument in such a way that all South Africans can respect and appreciate Afrikaans.